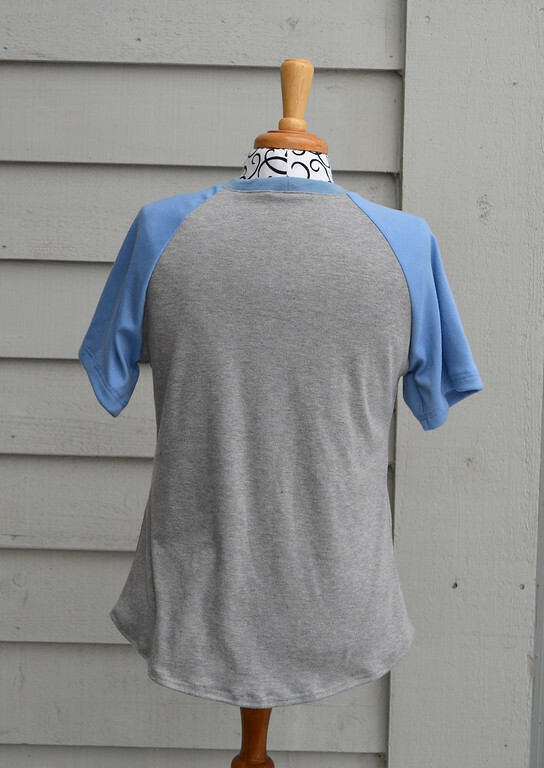 In addition to that skirt and that other skirt, I only made myself one tshirt. And while I was at it, I made one for Emily, too. Because I felt bad that all she got from this season of wardrobe enhancement was one miserable swimsuit. Again, all knit. I think I only sew garments in knit. Although for me, I do denim, corduroy and linen. I need to add wool to this pathetic list. Not now, though. Where we're going this weekend, wool would kill me. Emily didn't seem too unhappy with that swimsuit, if I remember correctly. ;) Nice shirts! Great job on all the sewing! Looking forward to hearing about your traveling adventures; I'm sure you'll get up to great stuff! Have a safe journey & enjoy the time with your family. 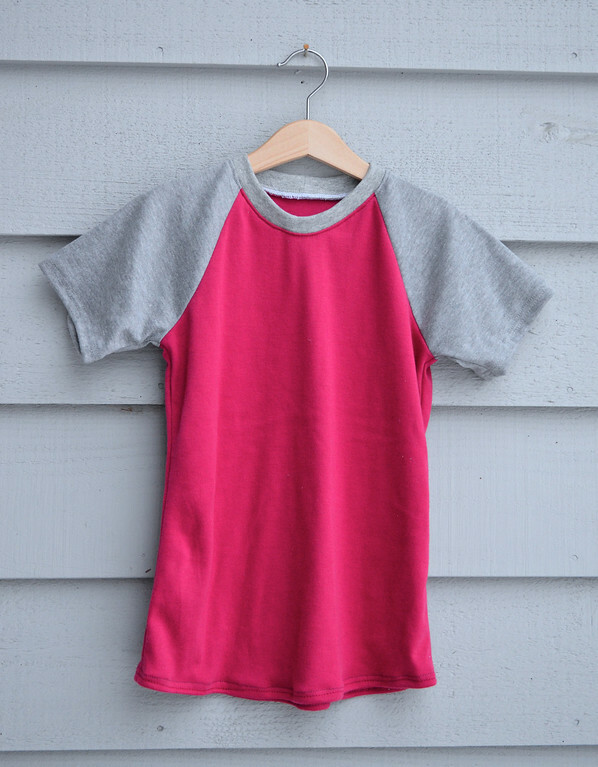 I really want to learn how to make raglan shirts like this! Those shirts are ridiculously amazing. 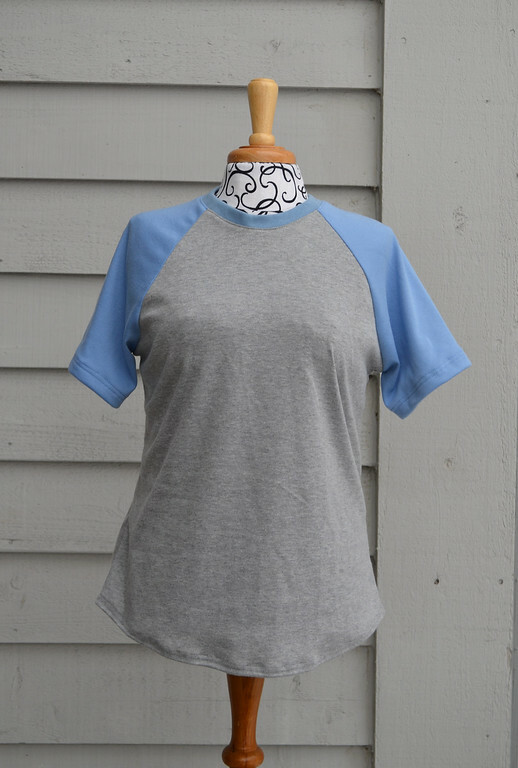 And who doesn't look great in a raglan?